Applications are open for the Building Leaders in Urban Transport Planning course, a hands-on training for national, provincial, and city-level decision makers on key policy issues in urban transport and development. Photo by Justin Swan/Flickr. The World Bank and EMBARQ Mexico – in collaboration with TransMilenio S.A. – will host the third annual “Building Leaders in Urban Transport Planning” course, which provides tools for systematic integrated mobility planning, corridor management, public transport planning evaluation alternatives, governance, finance, and public-private partnerships – all of which are key issues facing Latin American cities and cities worldwide. The course will use a hands-on learning approach, making extensive use of case studies, group exercises, and site visits – all aimed at highlighting linkages between the various components of the urban transport system. The deadline to apply to the course is January 9, 2015. The event is part of the World Bank’s “Leadership in Urban Transport Planning” (LUTP) capacity building series, which develops leadership, awareness, and implementation strategies for urban integrated mobility planning. It is designed specifically for senior level decision makers at the national, provincial or city level – those who have a responsibility for urban transport at the policy making level, rather than a purely technical level. Academics, consultants, and other members of civil society are also encouraged to apply. The Building Leaders in Urban Transport Planning course will consist of two parts. The period from January 19 to February 21, 2015, will be devoted to self-study, covering topics in land use and transport planning, and incorporating the environmental and social issues of urban transport planning. 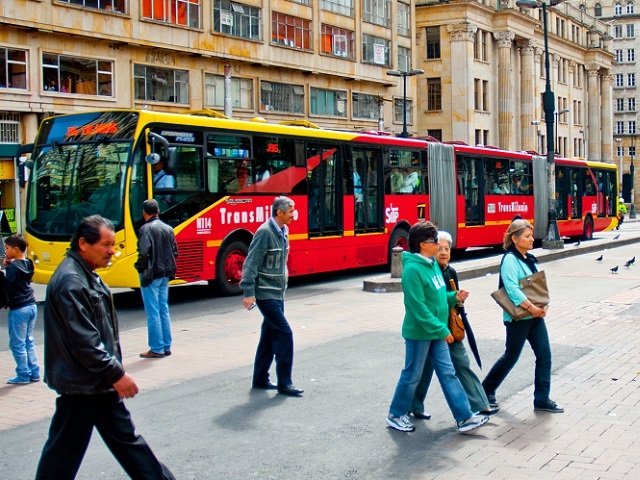 Participants will then partake in a seven-day hands-on workshop from February 22 to February 28 in Bogotá, Colombia – a city with a track record of leadership in sustainable urban transport and development. Following the workshop, participants will also have the option to partake in a six-month mentoring program to provide advice and guidance as participants work on city-level projects. Learn more about the event and apply here. The event will be conducted in Spanish, and is organized with support from the Public Private Infrastructure Advisory Facility (PPIAF) and the Energy Sector Management Assistance Program (ESMAP). Follow updates on the proceedings on social media from @EMBARQMX and #LUTPColombia.